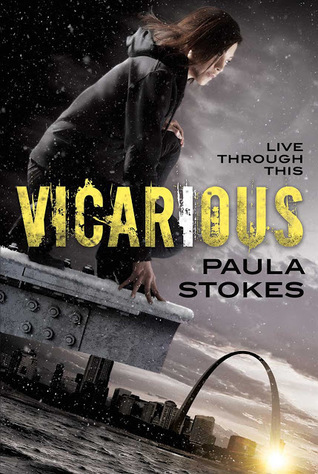 I am so, so excited to be kicking off the blog tour for Paula Stokes's Vicarious today!! I've read and enjoyed every single one of Stokes's novels, but Vicarious is unique and unlike anything else I've ever read. 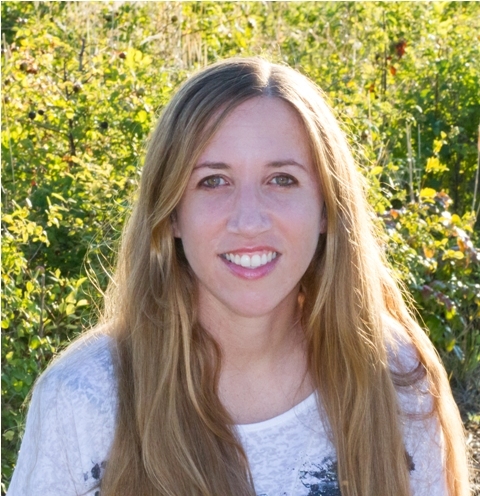 If you've been a reader of the blog for awhile, you'll know that I very rarely participate in blog tours and am, in fact, very selective of which books I choose to promote on this platform. But, Vicarious is a groundbreaking novel in YA, featuring a Korean protagonist, half-Mexican romantic interest, and an honest discussion of PTSD, anxiety, and other mental illnesses. Stokes is all about pushing the barriers of what we think of as YA and I am so honored and proud to be a part of this tour. Without further ado (seriously, if you want to read more of my thoughts on this novel, you can read my review here), I'm going to hand it over to Paula Stokes! Winter Kim and her sister, Rose, have always been inseparable. Together the two of them survived growing up in a Korean orphanage and being trafficked into the United States. But they've escaped the past and started over in a new place where no one knows who they used to be. Now they work as digital stunt girls for Rose's ex-boyfriend, Gideon, engaging in dangerous and enticing activities while recording their neural impulses for his Vicarious Sensory Experiences, or ViSEs. Whether it's bungee jumping, shark diving, or grinding up against celebrities in the city's hottest dance clubs, Gideon can make it happen for you--for a price. When Rose disappears and a ViSE recording of her murder is delivered to Gideon, Winter is devastated. She won't rest until she finds her sister's killer. But when the clues she uncovers conflict with the digital recordings her sister made, Winter isn't sure what to believe. To find out what happened to Rose, she'll have to untangle what's real from what only seems real, risking her own life in the process.Paula Stokes weaves together a series of mysteries and the story of an unbreakable bond between sisters in this unforgettable high-tech thrill ride. I drafted Vicarious in 2012, before Venom (now called Venomous Kiss, writing as Fiona Paul) was published, before I had received many reviews, before I was active on Twitter, and before #WNDB was a thing. My knowledge of the publishing industry was limited and I wasn’t thinking much about diversity in literature at the time. Vicarious was a love project that I worked on around my work-for-hire assignments, grad school, and nursing. I had no idea if the book would ever sell. I didn’t even tell my agent about it until the book was finished. As I mentioned on my blog yesterday, Winter and her sister were Korean from the moment I “met” them. There are a few reasons why I think my brain created these characters who are so different from me. First, my father served in Korea in the military, and when I was still a baby my aunt adopted two Korean children. So I grew up with Korean cousins (though we always lived in different states) and a dad who spoke fondly of Korea quite often. Because of those things, when I made the decision to teach English overseas about ten years ago, Korea was an easy choice for me. While I was living in Seoul, I not only immersed myself in Korean culture, I became close friends with many Korean people. Seoul was a little (okay a lot) intimidating to me, with its crowded sidewalks and faster-than-NYC-pace, and some of the things my new friends explained to me about country and customs were hard to understand. No culture is perfect and there are definitely some things about Korea that made me sad, but there were so many lovely moments too. I loved the way the same older women who chastised me for being slow on the subway steps would turn around and offer to hold my packages when I had to stand up on the train. I loved how Korean kids respected the elderly and gave up their subway seats without question. I loved the Buddhist temple set right in the city, a place for meditation and quiet reflection directly across the street from a giant shopping mall. And the countryside-Korea has some of the most gorgeous mountain trails. I loved hiking there, even when everywhere was packed on weekends and I had to get in line with fifty others to reach the summit. Like any outsider anywhere, I experienced flashes of prejudice, but for the most part I felt very welcomed. It was exciting to learn about and slowly embrace Korean culture. I don’t want to mislead anyone—Vicarious is not set in Korea, but that doesn’t mean my time there didn’t inspire the story and characters. And much of the second book in the duology is set in Seoul. As I mentioned in my Five Facts About Vicarious blog post, the mystery turned out to be more complicated than I originally imagined, and one book turned into two books. As far as what I hoped to accomplish with the book, it’s simple. I wanted to write a solid mystery and portray my Korean characters and their culture as authentically as possible. Korean culture is not plot-centric in this novel and I did not set out to highlight any certain aspects or “teach” anyone anything. I just wanted to make sure that what I had included wasn’t misleading, inaccurate, or unintentionally offensive. I utilized a variety of research methods to do this, and I’ll talk more about those things in my post on Thursday over at Hiver et Café. Tomorrow, check out an interview I did with Minjae, one of my Korean beta readers, on her blog Reading and Some Tea. When I lived in Seoul, I worked six days most weeks. I also worked split shifts--from 6 to 10 am and 6 to 10 pm each day, because my company taught mostly college students and executives. When I worked there (2005-2006) it was common for Korean executives hired for "full time" to put in over 50 hours a week for no overtime, and then be expected to spend more unpaid time at company functions or seminars, like client dinners or mandatory English classes after work. Since that time, the government has tried to reduce the amount of hours Koreans are expected to work and I think most companies have adopted a five-day work week, though apparently that just means they have to figure out how to do six days worth of work in five days. Such a great post! I love that her experiences teaching overseas so influenced these characters and that she's not trying to "teach" anything about the culture - just share what she learned of it. Must read this! Wow, they do work hard in Korea! Great guest post - thanks so much for sharing. Despite this book not being set in Korea, it's still interesting to see the author's love of the place. My daughter loves Korean pop culture. She sings their songs even though she probably hadn't a clue what she's saying. Lol. I think it's great that you wrote a character based on your experience and knowledge of living in Korea. I'm a recent reader, so I have this book ordered from Amazon. :) Thanks for sharing, ladies! This is such a great post Paula, I love you sharing your thoughts on what inspired you on your newest book. Korea does sound like a beautiful place, that I would love to visit one day! LOVE the post. I also love that you created a diverse cast. You also made me more curious about Korea. I would love to visit more cultures outside of the US. However, I think people would benefit just visiting the various cultures inside the US. I think we are way too isolated and that is why we have the election we have now. "with its crowded sidewalks and faster-than-NYC-pace.." There's still a country who's busier than NYC? Wow. And 15 hours a day at school?! Ohmygod. That's a LOT of studying. It shows that they really value education. I understand characters popping into your head a certain way, and I'm so glad Paula stayed true to herself in writing this novel. Looking forward to seeing Vicarious in stores! OMG the average day of a Korean. I didn't know. That is truly amazing. I now understand so much more about that culture. I love that you have so much experience with the Korean people. It makes your book authentic. I have many Japanese friends and would love to be able to experience teaching English there, but it will have to be in a different life. Did you know you can create short urls with AdFly and get $$$$$ for every visit to your shortened urls.